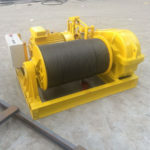 A boat winch is a mechanical device that is used to pull in or let out or adjust the tension of a rope or cable during some operations such as boat anchoring, boat mooring, pulling boat out of water, loading and unloading weights on boat. For different boats, there are sailboat winch, small boat winch, yacht winch, model boat winch, barge winch, fishing boat winch, tug boat winch, heavy duty boat winch and so on. 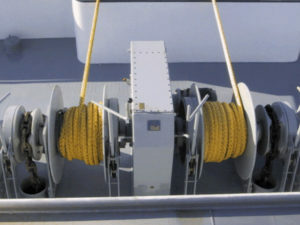 As a sailing winch, it can pull the rope to raise the sails or let out the rope to lower the sails, which is more rapid and efficient than simply pulling or letting out the rope by hand without the winch; windlasses for very small boat and yacht are usually very small ones driven by man power or by battery; for fishing boat, the rope connected to the net is attached to the winch spool and the winch is applied to pull the heavy net out of the water and onto the deck of the boat, and the winch used on fishing boat should function quickly and well to ensure the rapid and successful fishing operations; for large boats, marine windlasses with heavy rated capacity should be selected to meet the needs. By adopting different power modes, there are manual boat winch, automatic winch, electric boat winch, hydraulic boat winch, air powered winch, gas/petrol powered winch, diesel powered winch etc. 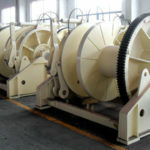 Manual winch, also called as hand winch, is often used on small boat because it is not powerful enough for large boat, and it is also usually known as stainless steel boat winch with handle; electric boat winch has been widely used for many years no matter used on small boat, medium boat or large boat, and it is favored by many users because it’s easy to operate without use of man power; hydraulic boat winch is often used on large boats because it has stable power source and very powerful. 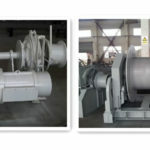 With different number of drums, there are single drum boat windlass, double drum boat windlass, multiple drum boat windlass, and all of them can be with or without one or two warping heads on request. 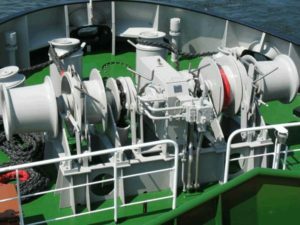 The rated capacity of the boat windlass is determined by the rope capacity and the size of the boat. There are also boat rope winch, boat cable winch and boat chain winch considering the line the boat adopts. 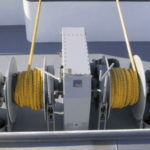 No matter what kind of line the boat uses, information about the line should be provided for the supplier if the owner of the boat decides to buy a boat winch, for example if the boat use chain, he should tell the supplier the diameter and length of the chain, with such information, the supplier will design and provide the suitable winch with gypsy wheel for the user. Used for different applications, there are boat anchor winch, boat mooring winch, boat towing winch, boat anchor mooring winch and boat anchor handling and towing winch. 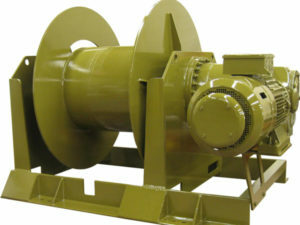 Winches can be combined for multiple uses with more than one drums to wind rope or cable. One important role of the boat winch is to pull the boat out of water with the track, this kind of winch is called as boat trailer winch and it is more convenient to haul the boat than using hand boat trailer winch. 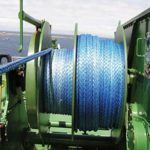 When a winch on a boat used for anchoring and mooring operations, it’s important for the winch to secure the boat to a pier and keep it in specified anchoring or mooring position without drifting or moving forward or backward. The winch can be secured to the pier itself and the rope or cable is tied to the mooring points to create a kind of lock for the boat ensuring its safety on the pier. 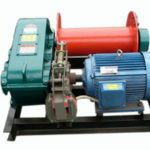 It is recommended to choose quality winch for the boat because it can work well and be used for long time. Ellsen provides many types of boat winches with excellent performance and long service life. Our mainly boat windlasses are electric windlasses, hydraulic windlasses, diesel windlasses and some combined windlasses with a wide range of rated capacities as your choice. To know our boat winches for sale, many contacts are available on our websites for you to contact us.